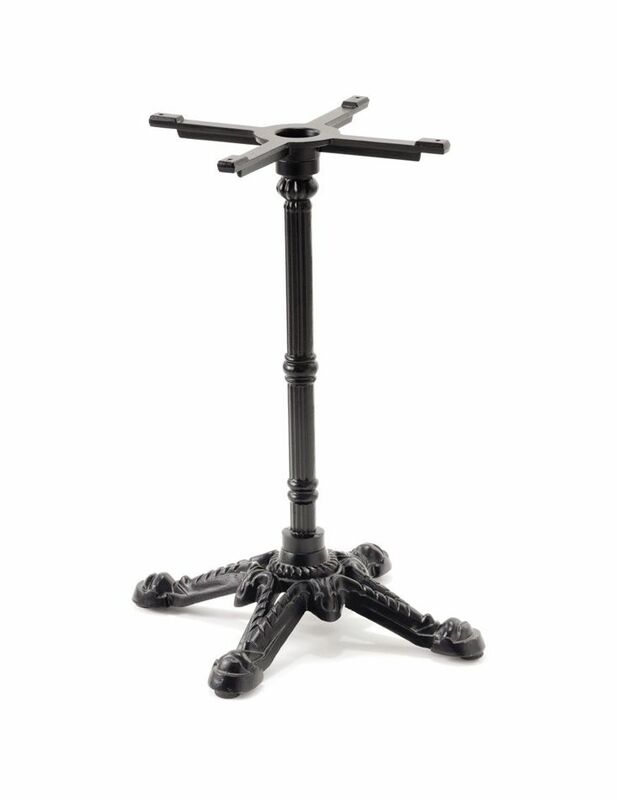 Cast iron construction with Black powdercoat finish. Adjustable feet. Suits table tops up to 700 x 700mm or table top diameter 850mm.